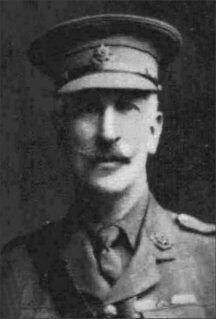 At Worcester in September 1914, Colonel A. G. Chesney, who had formerly raised the 4th Battalion, now raised the new 10th Battalion with Captain H. A. Gillum-Webb as his Adjutant. As part of the “New Armies” the 10th Battalion became a unit in 57th Brigade, 19th (Western) Division. Back row left to right: Capt. I. N. Mason, Lt. Hartley, Lt. H. R. Raymond, Lt. C. H. Pigg, Lt. W. F. Tree, Lt. J. H. Samuel, Lt. Fauknes, 2/Lt. ??? In July 1915 the 19th Division was ordered to commence overseas to France to reinforce the British Armies. So it was that on the night of the 15th/16th July 1915 an advance party of the 10th Battalion embarked at Southampton for Le Havre and on arriving they proceeded by train to Boulogne. The advance party were there joined by the rest of the 10th Battalion which crossed from Folkestone to Boulogne on the night of July 18th/19th. Major W. A. Lenox-Conyngham, Major F. St. G. Tucker. Captain & Adjutant H. A. Gillum Webb. W. F. Tree, C. H. Dwyer. Rev. L. Walker (R.C. Chaplain, attached). After landing, the Battalion was quartered in a "Rest Camp" at Ostrohove. "Not much rest about it though," wrote an officer, "troops marching in and out all night, with fifes and drums playing too …….. The Battalion marched down into Boulogne this afternoon, and saw a good many females bathing in the sea" - the last glimpse of feminine grace they were to have for many weeks to come. On July 20th the Battalion moved by troop train to Watten; whence they marched to billets, with the rest of the 57th Brigade, at Bayenghen-les-Eperlecques; "all very tired and glad of a rest." Three days later (July 23rd) the 57th Brigade marched forward through St. Omer to new billets at Renescure, and thence on the following day southward to quarters just east of Aire. There the Brigade lay for a week and then marched eastwards, to Haverskerque on July 30th and then next day to the outskirts of Merville. 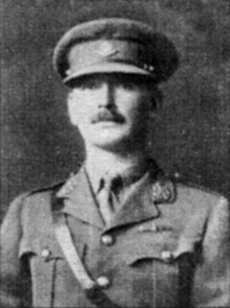 The 19th Division had been allotted to the Indian Army Corps, and the Corps Commander, General Sir James Wilcocks, inspected the Battalion on August 2nd. On the following day the 57th Brigade moved forward to billets in Estaires. Then the Brigade was split up for instruction in trench work, and on August 4th the 10th Worcestershire marched up to Laventie for training under the Bareilly Brigade. They were attached for instruction to the 2nd Black Watch in the trenches facing Neuve Chapelle, and during the ensuing week went into their trenches, one company at a time. The period of instruction passed without notable incident and with only a few casualties. 6th August 1915 - 1 wounded. 8th August 1915 - 2 wounded. 9th August 1915 - 1 wounded. Quite close at hand were the 1st Battalion of the Regiment near Sailly and the officers of the two Battalions interchanged visits. On August 10th the 10th Worcestershire marched back to Estaires. Five days later the Battalion rejoined the 57th Brigade in their former billets near Merville. There they lay for nearly a fortnight, finding working parties and generally settling down. On August 25th came orders to move southwards. The 19th Division was to take over the sector between Festubert and Richebourg L’Avoué. Two days later the Battalion marched under a hot summer sun to new billets at La Croix Marmuse. 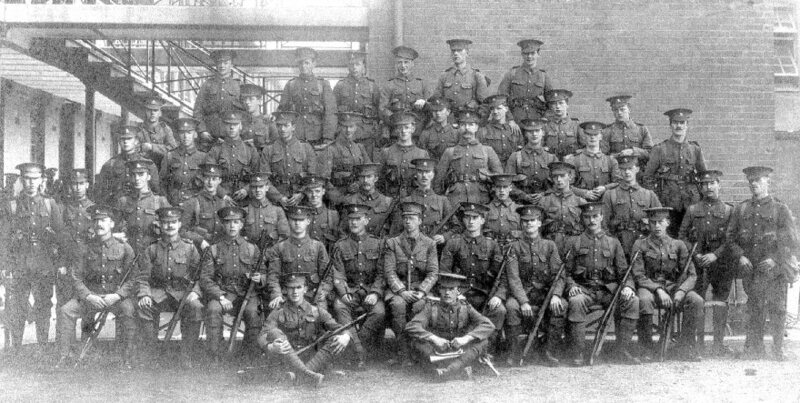 On August 28th 1915 the Battalion for the first time took over a complete section of the Line. The 57th Brigade went into trenches with three battalions in the front line, the 10th Worcestershire being in the centre, immediately east of La Quinque Rue cross-roads. 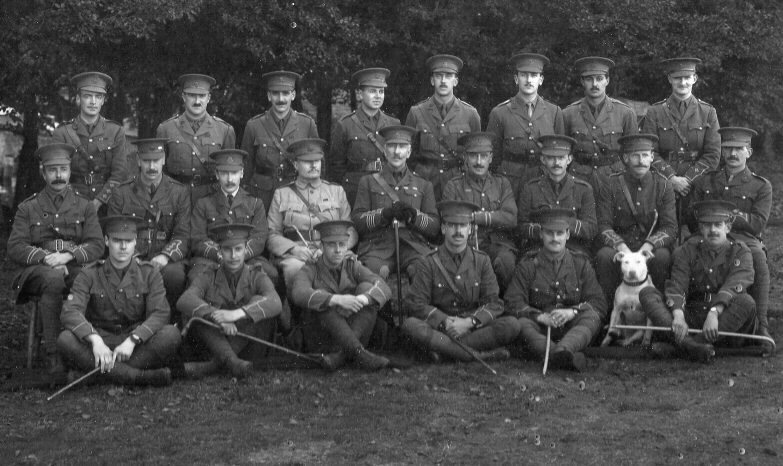 The 10th Royal Warwickshire were at first on the right and the 8th Gloucestershire on the left of the Battalion. The 10th Worcestershire held those trenches for ten days. Casualties were — 3 killed, one officer (Lieut. R. Hartley) and 16 men wounded. On the evening of September 7th the Battalion was relieved by the 10th Royal Warwickshire, and then moved back into reserve at Rue des Chavattes. Thence five days later the Battalion marched back to billets near Locon. The decision had been made to form the new Third Army in Picardy. The frontage allotted to the new British army was from the River Somme on the right to Hebuterne on the left flank, and that front ran northwards from the river at Corbie past the town of Albert over rolling upland country studded with villages whose names were destined to be familiar to many thousands of British troops. In the Summer of 1915 the front in Picardy was regarded as a “quiet” sector. No heavy fighting had taken place there since the first clash of French and German armies in the Autumn of 1914.